Home Bible Studies About Marriage What Is The Best Bible For A 9 Year Old? Many study Bibles on the market would work for a 9-year-old. Children that are this age like illustrations and full-color maps, diagrams, and pictures of key Bible characters. That is one of the main reasons that I chose The NIV Kids Visual Study Bible. June 6, 2017. 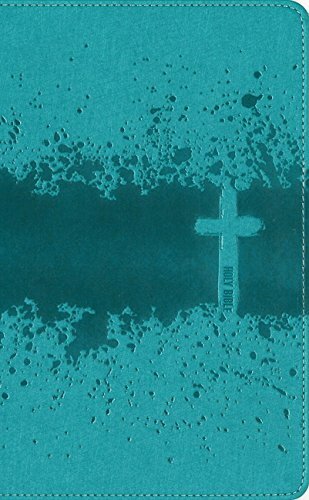 Published by Zondervan Publishers. The NIV Kids Visual Study Bible uses the NIV version of the scriptures which is easiest to understand for a 9-year-old. One reader said that her 9-year-old used it for reading practice! What better to practice with than the Word of God! Who will benefit the most from the NIV Kids Visual Study Bible? The NIV Kids Visual Study Bible is specially designed for the 8 – 12 age group. Visuals are so crucial to the developing young mind. Parents feel that it is a Bible that will grow with their child. Parents themselves like the explanations and visuals. Again, the fantastic visuals set this bible apart from the others of its type. What are some of strengths and weaknesses of The NIV Kids Visual Study Bible? One weakness stands out among reviewers: They say that the print is too small for the eyes of their 9-year-old. That is the only negative comment among a sea of positives. The side panes have things broken down for the reader. There are lots of colorful pictures, but not like a small child’s bible. The illustrations are tastefully placed without being overabundant. It makes the Bible more understandable and more fun. Its simplicity breaks down topics so that the parent can explain them, and the child can understand them. What are the main features of The NIV Kids Visual Study Bible? Over 700 illustrations, photos, infographics, and maps on every page that visually represent essential Bible information. Each page also features essential facts located near the relevant verse. Intriguing facts; colorful, engaging maps; photographs; and illustrations make this a Bible they’ll want to explore. This engaging Bible draws kids into Scripture by visually explaining how the facts and stories all fit together. They will look forward to Bible study with this well-thought-out study Bible designed just for them. Are there any alternative Bible studies for a 9-year-old? The NIV, Adventure Bible would be my second choice in a study Bible suitable for a 9-year-old. It also has lots of full-color illustrations. 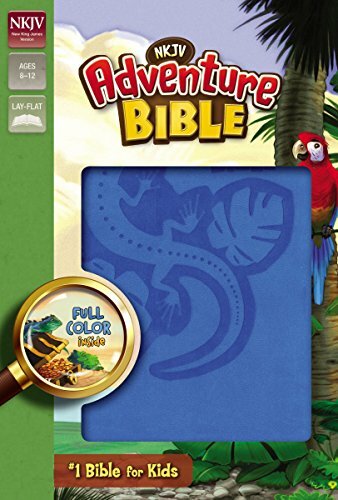 The NIV, Adventure Bible is probably more popular than The NIV Kids Visual Study Bible, but I find that it is not as comprehensive and not as relevant to the 9-year-old mind. While both study Bibles would be great for your 9-year-old, The NIV Kids Visual Study Bible is newer and more contemporary than the NIV, Adventure Bible. Both study Bibles are beautiful, but the illustrations and explanations in The NIV Kids Visual Study Bible seem to be more relevant to the 9-year-old. The NIV Kids’ Visual Study Bible is designed for ages 8-12, It brings the Bible to life in four-color illustrated magnificence. Its spectacular full-color interior featuring over 700 illustrations, photos, infographics and maps on every page represents vital Bible information. Each page also features facts located near the relevant verse. This means they make sense to the 9-year-old rather than remaining some obscure facts without anything to which the child can relate them to. Intriguing facts; colorful, engaging maps; photographs; and illustrations make this a Bible that children want to explore. This engaging Bible draws kids into Scripture by visually explaining how the facts and stories all fit together. It is cohesive and to the point, all in the vernacular of your 9-year-old. These attributes make The NIV Kids Visual Study Bible a winner. Your 9-year-old will love it and will learn the Bible in a way that sticks with him/her for life! Previous articleWhat Is Best Bible Study for Depression? Next articleWhat Is The Best Bible For A Teenage Girl?